Hello my lovelies, welcome back to the Recipe Round Up. I hope you’ve had a great weekend. It was my birthday on Friday so we back to one of my favorite restaurants, Brown’s in Manchester, although we went straight home after meal because of my dodgy back. 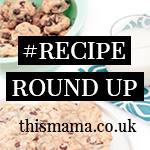 The Recipe Round Up has had a little overhaul since it used to be called #SundayKitchen but I felt that didn’t really say exactly what kind of link party it was, hence the need for a change. The round up is for any foodie type blog posts, such as recipes, meal plans, restaurant reviews, anything food wise is welcome. The lovely Deborah from Country Heart and Home joined me as co-host for the linky, so don’t forget to pop over and have a nosy at her lovely blog, she has shared some amazing foodie & recipe posts. I’m loving sharing more food related posts on the blog, from Slimming World recipes to family friendly meals, plus the odd cake decorating tutorial too. This week I’m sharing my latest restaurant review, an amazing meal at the gorgeous Harvey Nichols and the recipe for a Slimming World Syn Free Sunday Roast. Hello, Toni. I hope you are feeling amazing today! Thanks a bunch for hosting & have a fab week!